June 18th. The government has decided to increase the value added tax (VAT) from 18% to 20% from 2019. The most significant impact this decision will cause on end users, that is, for us, because soon will begin to rise in prices for everything. 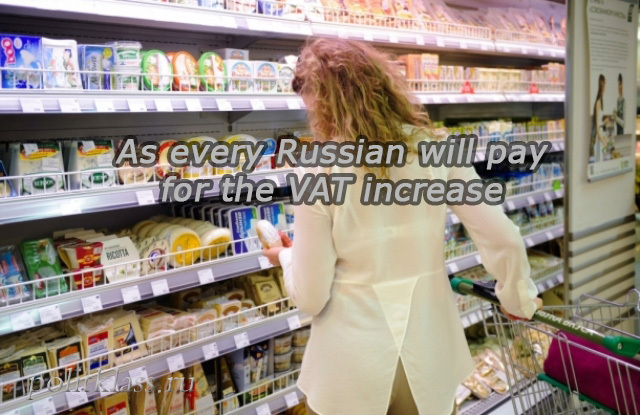 The Russian government has decided to raise the total VAT rate from 18% to 20%. Much has been said about the negative consequences of such a decision. Discussions on this topic began several years ago, when the tax maneuver was on the agenda and the option of increasing VAT and reducing the rate of contributions to extra-budgetary funds was considered. And although not all the arguments of the supporters of this idea could be agreed, the main thing was that this maneuver is aimed at accelerating economic growth, stimulating the economy and reducing the shadow economy. 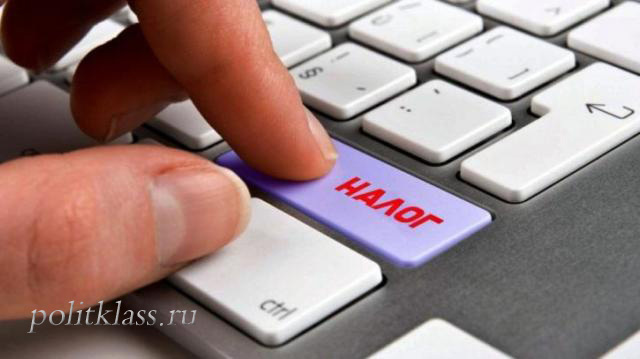 That is, at that moment the main thing for the government was to push the Russian economy to rapid economic development. Now everything has changed. Instead of the goal of stimulating the economy, the purely fiscal goals came to the fore-to raise additional money to the budget for the implementation of the may decrees of the President and for other large-scale projects announced by the head of state earlier. As a result, instead of a maneuver that would bring the economy both pros and cons, the government decided to partially refuse, leaving only the part in which some disadvantages are concentrated. The most significant impact of the increase in the VAT rate will cause for consumers, as, ultimately, its payment falls on the shoulders of consumers. Consumers may not be fully aware of this whole process, but they will be able to see it very soon, looking at the rising prices due to the increase in the VAT rate. Price increases are always unpleasant, and for people with low incomes and people of retirement age can even be critical. As a result, with the increase in prices and the preservation of wages and pensions, the real incomes of the population will decline, we will consume less, we will limit ourselves even more, and the overall standard of living will decrease. From a global point of view, the already modest economic growth will be slowed down by a decline in consumption. After all, the reduction in consumption leads to a reduction in demand for goods, which adversely affects the producers of these very goods. But recently, it was consumption that was the only source of economic growth not associated with an increase in oil prices. But it could be even worse. The government considered various options, including the abolition of the preferential VAT rate. 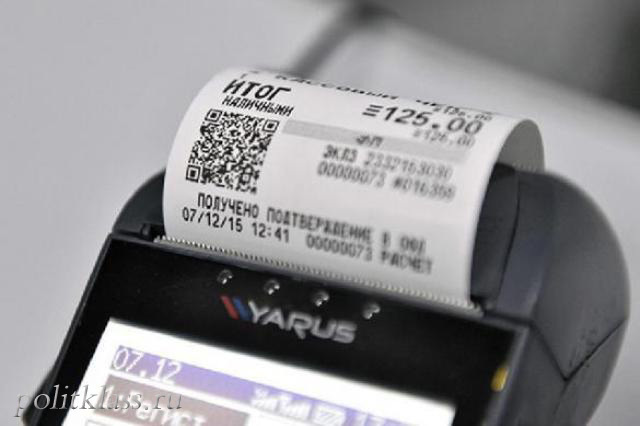 This option was very appealing, because in 2017 because of reduced rates of VAT the budget fell short of 1.5 trillion rubles. But the rejection of this idea is socially justified, because such a rate levied on commodities – medicines, food, etc. In case of increase of preferential VAT rates from 10% to 20% rates on these categories of goods have increased dramatically, undermining the budget of low-income citizens. The government's choice to increase the value added tax is understandable. After all, an increase in another tax (for example, the tax on personal income or income tax) would have caused even greater damage to the economy - no wonder international organizations recognized these taxes as the most harmful to economic growth. An alternative to raising the VAT rate could theoretically be a change in the budget rule and the expenditure of additional oil and gas revenues. However, this seemingly logical idea in the medium and long term can have serious consequences for budget security. It turns out that in the current situation, when the government needs to urgently find a huge amount of additional budget revenues, we can only accept the inevitable increase in the tax burden.